At this time of global economic crisis when every organization is craving for option to curtail costs, INTELLISYS brings in a revolutionary video conferencing solution system, Vennfer. 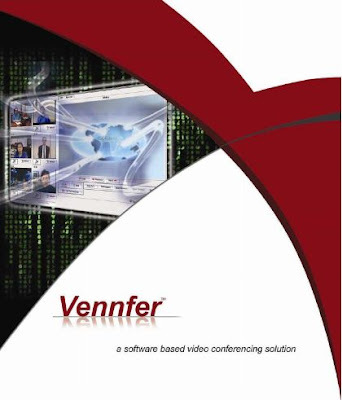 Vennfer is a complete IP based video conferencing software solution that enables real-time audio, video, and data communication over LAN, WAN (leased lines, VSATs, VPNs) and broadband. Especially built for live, multimedia based many to many collaboration that can be suitable for any industry, Vennfer delivers a lot more enhanced functionality at a reduced cost when compared to live collaboration over standard hardware based video conferencing systems. This is said to save atleast 50-65% of operating bandwidth cost and 40-65% of the capital cost of acquisition. -> Government offices etc, where communication with thousands of employees, customers and partners at various levels is a must which inturn influences the survival and success rate of that industry. While conferencing with Vennfer, users can share Word, PowerPoint, Excel, browser, PDF, whiteboard, instant chats, application simultaneously. 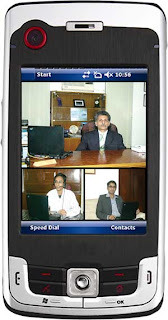 Vennfer also features video conferencing on your Mobile devices which can be very useful when you are on a move. Thus, Vennfer can be considered as a world class conferencing, communication and interaction platform suitable and useful for any Industry.